Written in narrative form and entirely in Spanish, Descubriendo el magíco mundo de Frida relates the major events in Frida Kahlo’s life. 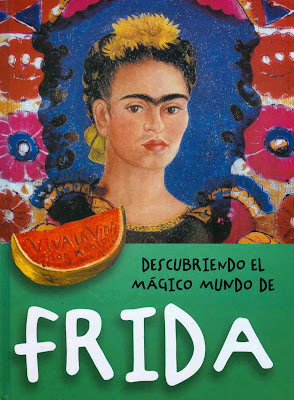 The book is attractively designed, with text in a cursive font, and each period of Frida’s life illustrated by one of her paintings. As well, there are questions that point out details of the paintings, activities, and curiosidades—more rhetorical than inquisitive (—¿Sabes que de joven quería ser médico? ¿Y que me casé dos veces con la misma persona?—). 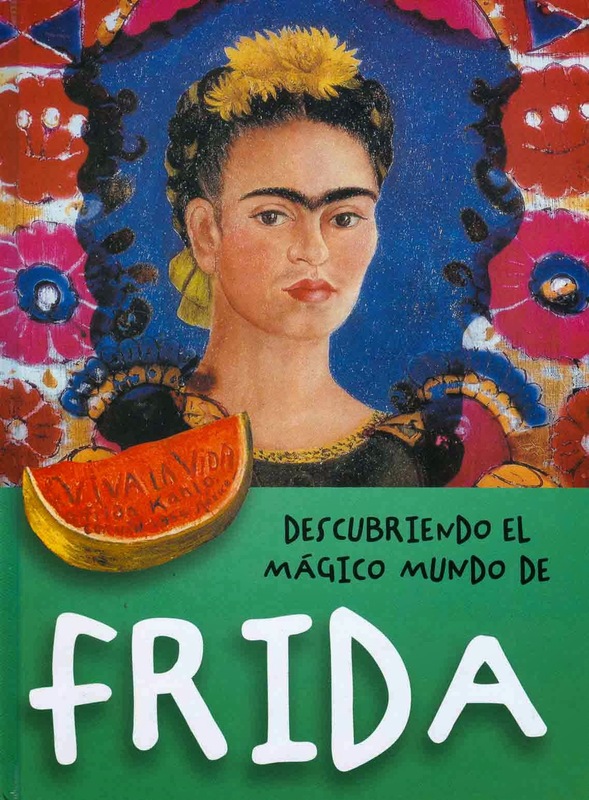 Although it doesn’t ring true as Frida’s actual voice (—Lee este libro y descubrirás cómo me convertí en una gran pintora: ¡un montón de historias y anécdotas te esperan!—) the book is well researched and useful as a basic reference, to be read to or by students to start off a study of the great artist. Recommended.